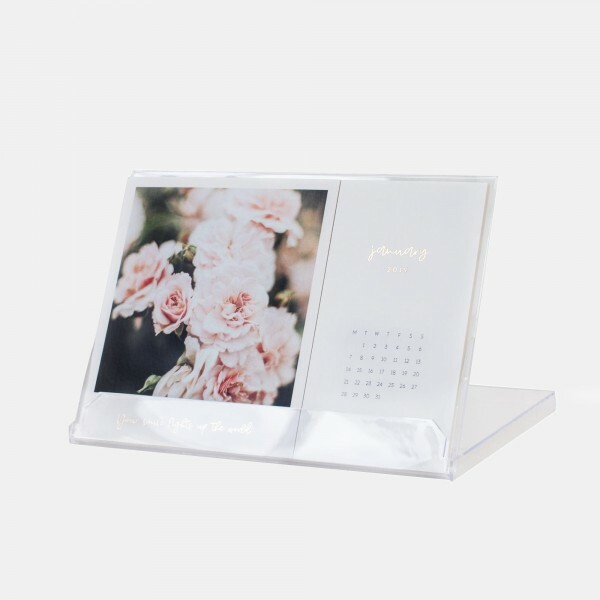 This gorgeous postcard calendar for 2019 makes sure you always have an overview from January - December 2019 and inspires you on a daily basis when placed in the office, the living room on on your night stand.The desk calendar comes with an acrylic box that also acts as the stand for the 12 postcards with individual designs and the 12 monthly overviews with golden details. Even after 2019, the postcards will be the highlight of your photo wall! Our Postcard Calendar is now available on . Click here for the product.